After the success of our production of SexyVoices – A Burlesque Theatre Cabaret, a generous patron offered to match any donations during the month of July 2016 up to $1000. This is a first for Realwheels and guess what?! We EXCEEDED our goal and received the matching funds! Thanks to every one of you who stepped up to support Realwheels with this opportunity. 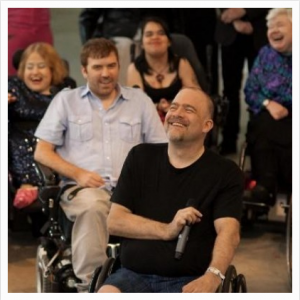 We greatly appreciate your support and for sharing our vision of full inclusion and integration of disability both on – and off – Canadian stages. To take a peek at more info and fun photos from the hot and sassy production of SexyVoices, click HERE! On behalf of Realwheels’ devoted staff and our dedicated board, best wishes for a healthy and happy rest of the summer! THANK YOU!